I made this quilt for my nephew. It was inspired by r0ssie’s Fraction quilt. 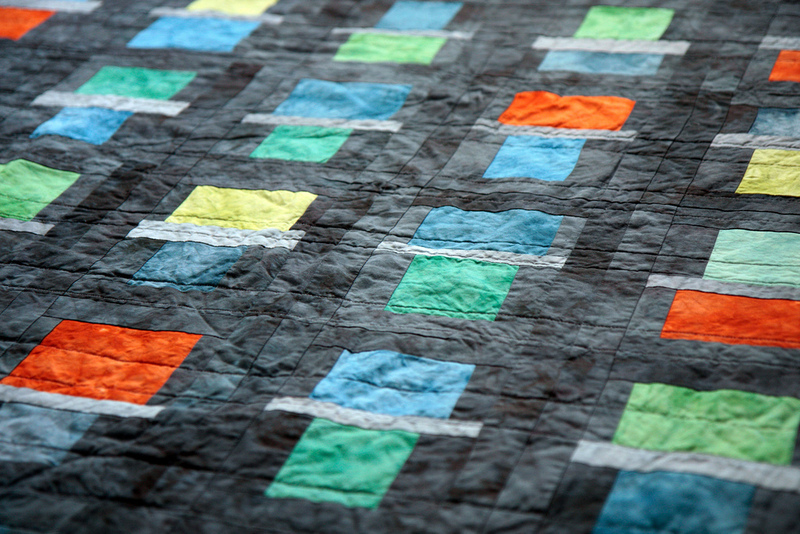 And she was inspired by this quilt by Cheryl Arkison. I realized too late that r0ssie had offset the rows, which I think I like better. Oops! 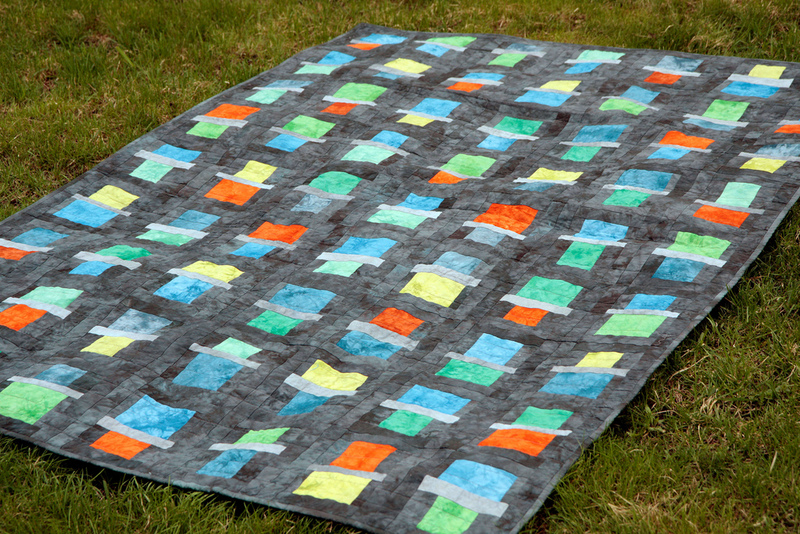 I hand-dyed all the fabrics for this quilt. This was my first time having a great amount of fun doing “controlled random” for the chunk sizes. 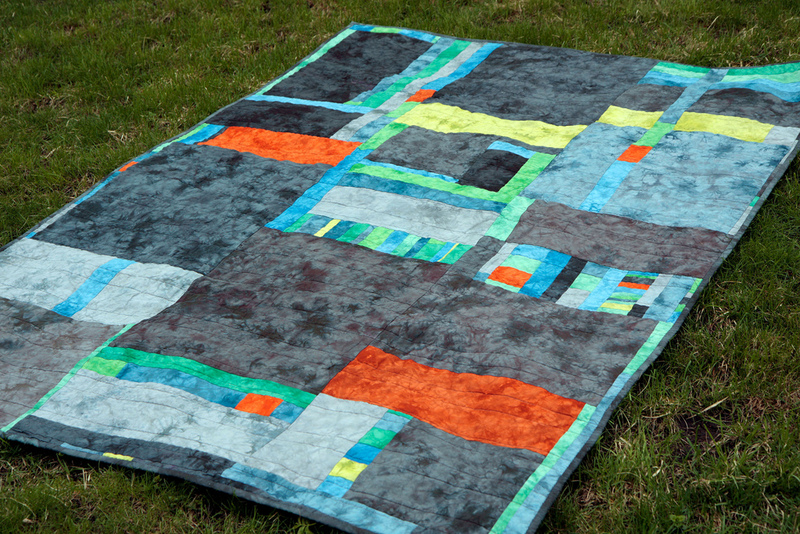 I used almost all of the scraps and extra fabric for this quilt to make the backing. It was my first time making an entire back out of random chunks and I loved it.